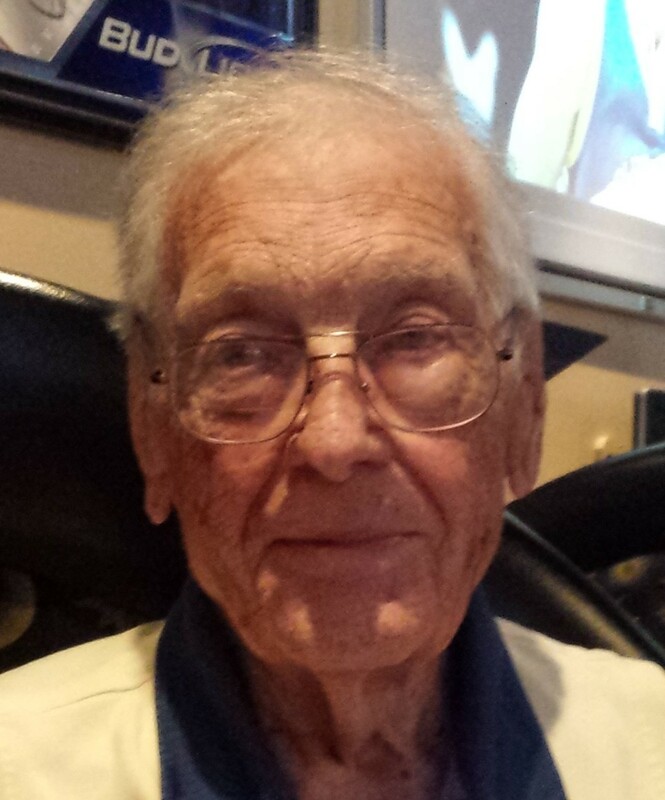 Our community sadly lost a pillar on Tuesday, July 31,2018, when Edwin L. Bates, 94, passed away from natural causes surrounded by his loving family. Born in Wadsworth in 1924 to E.C. and Gertrude (Connor) Bates, Edwin graduated from Wadsworth High School in 1942. He attended Niagara University until joining the US Air Force in 1943. In May 1944, he graduated as a Second Lieutenant and trained as a P-47 Thunderbolt pilot. On Christmas Eve 1944, he left for duty and flew in the European campaign until VE Day, coming home as a decorated soldier. Edwin married Peggy Poe August 4th, 1945 and they were about to celebrate their 73rd year of marriage with their five children! He completed his Business degree at Kent State University and joined his father in the insurance and real estate business at The Bates Agency, believing that value and service were the guideposts of a good business. After forty-two years of business, he sold to Padgett Young and began to enjoy his eleven grandchildren in retirement. His many contributions to the community of Wadsworth included serving as a Councilman for six years, a mayoral appointed member of the Safety Commission for several years, a member of the Civil Service Commission for thirteen years, and a member of the Wadsworth Chamber of Commerce. He also served a twenty-seven-year stint as an Advisory Board member for the Salvation Army of Wadsworth in which he was a Life member. He served as a Life member and an usher at Sacred Heart Church was a forty-one year member of the Fraternal Order of Eagles, a valued member of the Wadsworth Gyro Club, and supported veterans in our area as a Life member of the VFW and American Legion for forty-five years, serving as the head of the Memorial Day Parade Committee for twenty years. He was a charter member of the Rittman and Wadsworth Independent Golf Association (Rawiga) as Mr. Bates was an avid golfer. He was also a gardener, baker, sports fan and grandfather extraordinaire. He rarely missed a Grizzly football, basketball, volleyball game nor a wrestling match. He loved his music and Silver Sneakers exercise. Edwin is survived by his loving wife of 73 years, Peggy, their four sons; Larry (Joan) of St. Petersburg, FL, John (Barb) of Renton, WA, Mike (Pepper) of Wadsworth, and Charles (Jennifer) of Defiance, OH. He also leaves daughter Barb (Gordon) Dodson, also of Wadsworth, eleven grandchildren and twenty-six great grandchildren. He was preceded in death by his parents, two brothers, Walter of Shaker Heights, OH, and Tom of Bellevue, Iowa and two infant sisters Mary and Norma. Family and friends may gather at Sacred Heart Church 260 Broad St., Wadsworth for visitation at 10:00 a.m. one hour prior to Mass at 11:00 a.m. on Monday, August 6, 2018. Memorial contributions may be made to the Salvation Army of Wadsworth, 527 College St, Wadsworth, OH 44281. Arrangements made by Hilliard Rospert Funeral Home.